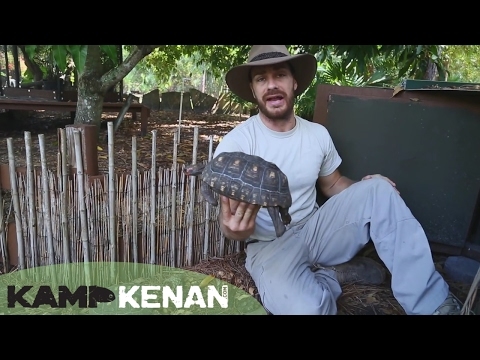 TortoiseForum.org - Watch this video describing the way that a keeper has set up a Vision cage that was converted into a closed chamber for their redfoot tortoise babies. TortoiseForum.org - Here is information and photos documenting how a keeper built a large mobile enclosure for their redfoot tortoises. TortoiseForum.org - Check out this old coffee table converted into a very nice closed chamber habitat for a young redfoot tortoise. 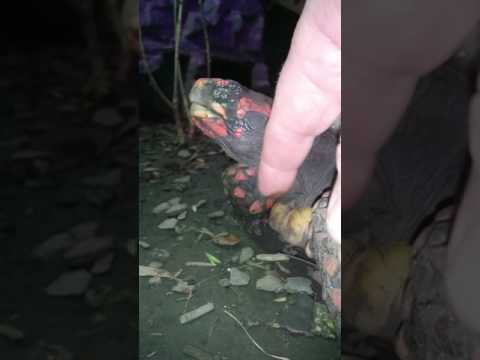 TortoiseForum.org - Watch this video of a pretty redfoot tortoise enjoying getting head and neck rubs from her owner. TortoiseForum.org - Check out the raised garden bed that a keeper converted into an excellent indoor enclosure for their Hermann’s tortoise.